Formerly called Delegate Assembly, the Public Policy Summit is MSSA's Annual Membership Meeting where our members discuss and vote on issues to be included in MSSA's public policy agenda for the upcoming legislative session. 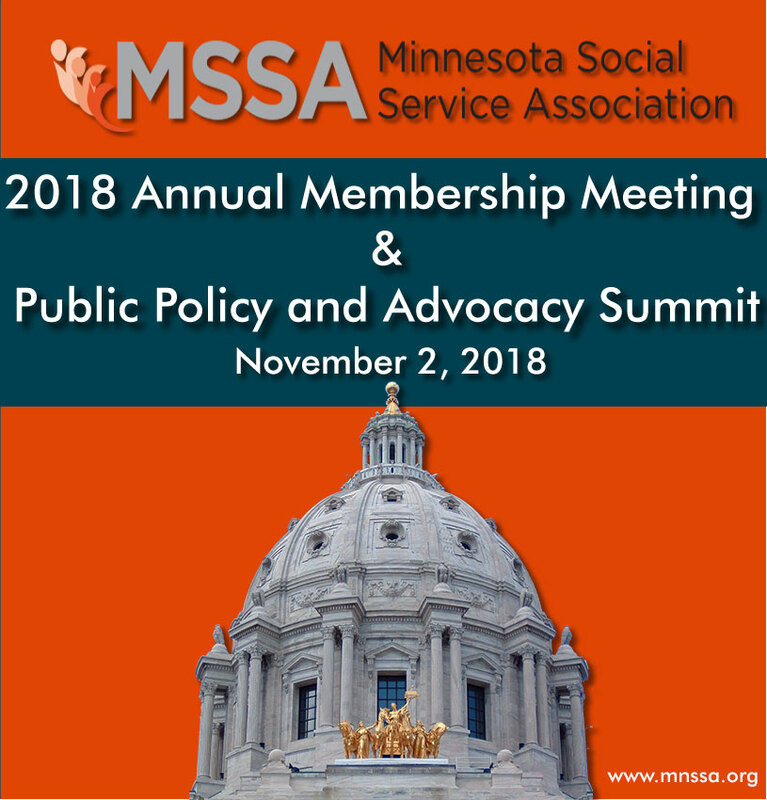 Click here to view MSSA's 2018 public policy agenda. This event is free for all current MSSA Members! You are invited and encouraged to attend. Not a member? Join Today! For those traveling to the Metro Region, MSSA has a room block at the Crowne Plaza Aire for your convenience. Please call 1(800)227-6933 and reference "MN Social Service Association" for event room rate of $99.